Select the links below or scroll down the page to see pictures from some of our exhibits and programs. 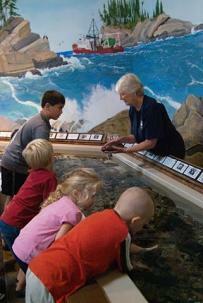 At the Maine State Aquarium, we’re all about hands-on experiences. The animals in our care are ambassadors for their species, all waiting to inspire you. Come get up close and personal with our fish and invertebrates, and increase your interest, care, and understanding of the ocean and its resources. At center stage, you will learn about these misunderstood species and witness their gentle side. The thrill of touching a live shark will leave a lasting impression and information received about these remarkable predators will amaze you. Powered by interactive applications, touch-screen computers and informational tablets enhance our exhibits and improve visitor experience. Interesting photographs, videos and prompts stimulate curiosity and increase awareness. 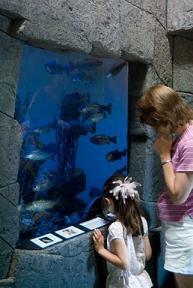 At each tank, a tablet invites you to learn about resident flora and fauna. After selecting a species, catchy photos and phrases link you to anatomical features, unique behaviors, and associated fisheries. 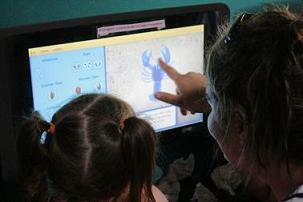 Two, touch-screen computers (sponsored by the Maine Outdoor Heritage Fund) provide detailed information about Gulf of Maine species and marine-related activities. The “Build a Lobster” and “Build a Fish” activities are fun, as well as educational. 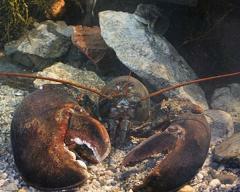 When you think of Maine, does its iconic crustacean the lobster come to mind? Expand your knowledge and appreciation of our state’s most popular sea creature and marvel at our collection of sizes (newborn larva to a 20 pounder), colors (bright blue to albino), and oddities (multi-clawed to regenerating clawed). 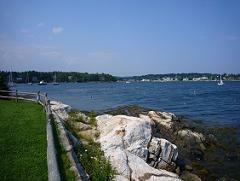 Are you curious about which animals and seaweed call the rock-bound Coast of Maine its home? 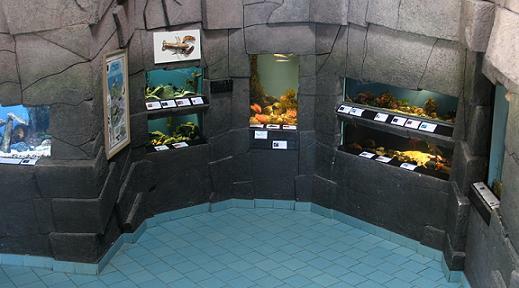 Peer into the granite wall’s recessed tanks and discover a multitude of species native to the Gulf of Maine. Colorful anemones wave in the down-east currents; tautogs swim amongst the harbor’s debris; a school of migrating alewives flash their silver scales; a fierce wolfish awaits its prey on the ocean bottom; and popular sport-fish and more share the water column, estuary, mudflat, and sandy bottom. 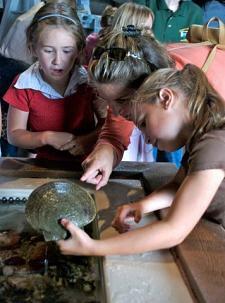 Located in an adjacent building, you’ll engage in activities that involve exploration and discovery. Learning stations include manipulatives, art materials, role playing, and more. Each year, lessons are developed around a particular theme. For 2018, it's Lobstah Mainiah! 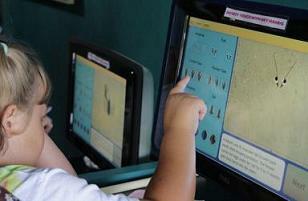 The Discovery Center is open 10 AM - 5 PM daily. Are you looking for more to do while at the Aquarium? Then participate in daily presentations, behind-the-scenes tours, and learning opportunities on our dock and intertidal study zone. See the day’s offerings posted on the sandwich board outside the Aquarium or call the receptionist at (207) 633-9406 between 10 AM and 5 PM. Lobster Presentations - Do you love the sweet, succulent taste of a Maine lobster but are curious about how this delicious crustacean makes it to your dinner plate? Then attend a presentation on the porch and staff will teach you about the fundamentals of the lobster industry, its people, and the techniques used to catch them. Times: usually 11am, 1pm, and 3pm but check the board or call ahead. 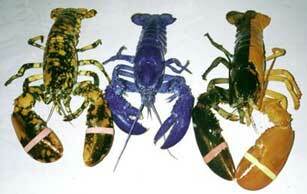 Creature Feature – Do you want to learn more about the unique features of Maine’s invertebrates? 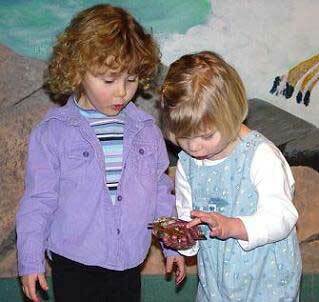 Then join us for a 15 minute presentation about fascinating hermit crabs, ancient horseshoe crabs, squirting sea scallops, gross sea cucumbers, and more. Shark Encounter - Have you ever petted a shark before? That thrilling opportunity to feel its rough skin awaits you. Staff will dispel some of the prevalent myths surrounding the most misunderstood species of the ocean. These not-so-scary predators excite all who dare to reach out and touch. Behind-the-Scenes – Are you curious about what’s on the other side of the glass? Here is your opportunity to get an insider’s view of the tanks, support systems, and animal storage facility. A 30 minute tour will provide the answers on how the Aquarium’s animals are kept happy and healthy. Feeding – Do you want to get chummy with the animals? Then, help feed them at 2 PM every Monday, Wednesday, Friday, and Sunday. See what’s on the menu and experience feeding the Aquarium’s residents. Sport-fishing - Do you want a new fish story to tell? Sponsored by the US Fish & Wildlife Service’s Sportfish Restoration Program, visitors are encouraged to try their luck at an activity that is fun, exciting, and relaxing. Rods and reels are available free-of-charge on our dock, and staff will provide necessary instruction. Our registration book must be signed if you do not hold a saltwater fishing license. Sport fishing is available 10 AM - 5 PM daily. Intertidal Search - Ever wonder what survives under seaweed and in tide-pools at low tide? Get your feet wet during the 45 minute exploration of the intertidal zone. Learn about the organisms found (barnacles, snails, crabs, hermit crabs, mussels and more) and their amazing stories of survival. Walking History Tour - New in 2018! 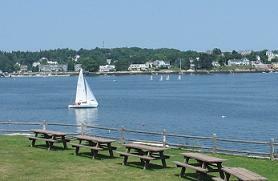 Read all about it in the Boothbay Register. Time: usually 12 noon but check the board or call ahead. Special Events - Additional programs, lab tours and/or craft activities will be available when staffing permits and/or by appointment. Birthday Party - An unforgettable adventure awaits your child and his/her friends. After their Aquarium visit, a one hour, hands-on program on sharks, squid or lobsters is included, plus a souvenir art project. 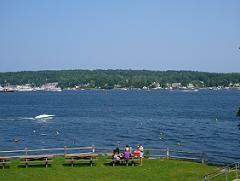 Bring along a cake and picnic lunch and enjoy the scenic waterfront setting. Please call for pricing and make your reservation at least two weeks in advance. Take a bit of the Aquarium home with you! Browse our thoughtful collection of ocean-related items for the entire family - from educational gifts to cute and cuddly, plush animals. 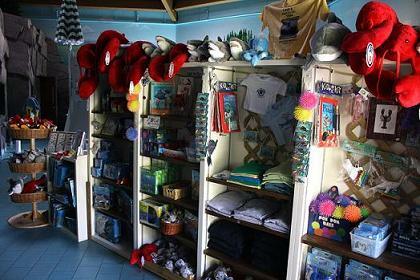 Swim on through and purchase aquarium apparel, collectibles, toys, books, posters, jewelry, souvenirs, and more.